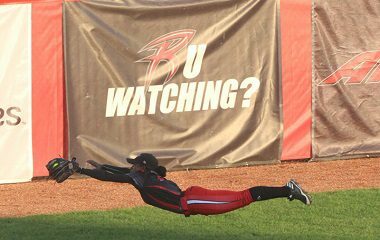 The Akron Racers fell to the USSSA Pride in both games of a noon and night double header Friday. After a first 3-1 loss in the afternoon, the second game was not as close, with a final score of 13-4 after seven innings of play. The Pride started out strong. They were able to put up one run in the top of the first inning. 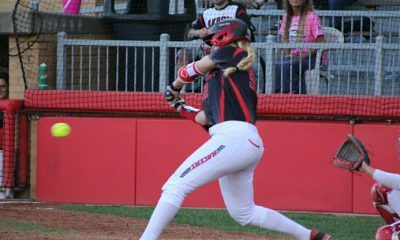 Megan Wiggins, the leadoff batter for the Pride was plated by a steal home on a wild pitch by Racers starting pitcher, Jailyn Ford. In the top of the second inning, the Pride put up a whopping five runs. Two of the five funs came from a homer by Sierra Romero, which plated Kelly Kretschman. That brought the score to 6-0. For the Pride in the top of the third inning, Shelby Pendley was the only runner to score with a homerun. The score stood 7-0. The Racers were able to wake up their bats in the bottom of the third inning. Griffin Joiner belted a two-run homer, scoring Jennifer Gilbert. The Pride had no second thoughts about retaliating and putting up four runs. Three of the four runs scored by the Pride in the top of the forth came across via home runs. Kretschman started off the home run fest for the Pride that drove in Wiggins. Followed by the second homer of the inning by Romero. After Romero, Pendley was able to put one over the fence to bring the score to 11-2. In the top of the fifth inning, the Pride put up another run with a homer from Chelsea Goodacre. The score increased for the Pride, 12-2. 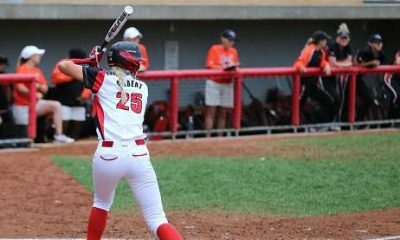 The Racers were able to put up another run against the Pride in the bottom of the sixth inning with a homerun from Haley Fagan. 12-3 was the score going into the top of the sixth. The Pride put up another run with Bianka Bell being plated after an obstruction call was made on an infield fly. 13-3 was the score going into the final half inning. The Racers did not give up without a fight. The put up one more run in the bottom of the seventh inning with Maddie Grimm who was scored by a double by Kristen Wyckoff. The Racers fall to the Pride, 13-4. The starting pitcher for the game was Jailyn Ford. Ford pitched an inning and a half and was relieved in the second inning by Emily Weiman. Weiman was relieved in the second inning as well by Sara Groenewegen. In the top of the third inning Alexis Silkwood came in to the mound. Silkwood made it a full inning and was relieved with Megan Betsa in the forth inning. Laura Winter came to the mound for the Racers in the fifth inning. The Racers are back in action on Monday July 31st, 2017 at Firestone Stadium against the Canadian National Team at 7:05 PM.